Grieving loss of pet companionship (and saying goodbye to your beloved poodle) is one of the hardest things to do. Whether they lived for five years or 18 years, your poodle is a member of your family, and living without them is going to be very hard. 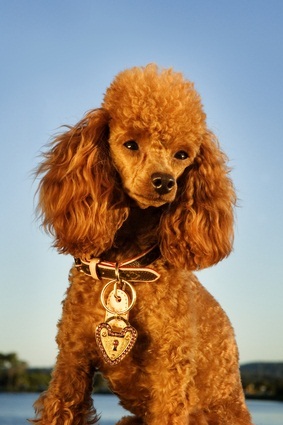 Grief over the loss of your poodle is very, very real and nothing to be ashamed of. We grieve those we love when they pass on, whether they be human or canine. Grieving dog loss is to be expected. Sometimes, though, the loss of your pet, especially if sudden or tragic, gets you stuck in pain and guilt. If you find that you are extremely depressed, cannot get back to a normal routine and are heavily grieving loss of pet, this pet grief loss recovery system is essential for helping you move forward in the grieving process. It's an extremely helpful resource that will comfort you. We love our poodles, and losing them is extremely hard. Other people may not understand our grief. Not only did we suffer loss of pet, we also lost companionship, comfort, security and unconditional love. All these combined cause us pain. This book leads you through the 5 grief stages with exercises and self-help activities, including journaling questions, that help you work through the pain and loss of dog. Grief doesn't just "go away". Suppressed grief is really grief that isn't resolved, which will come back eventually. You need to accept the loss of your pet to move towards recovery from pain. Grieving is a long and complex process. This book takes you through the grief stages and teaches you what to expect, what not to expect, and why you feel a certain way. 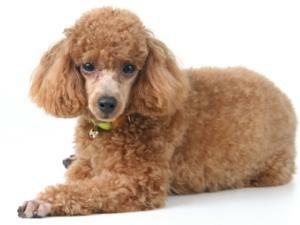 And, be cautious about wanting to get a new poodle right away. Your deceased pet can never be replaced, and you need to be emotionally healed from your pet's death before welcoming a new one into your home. This book will help you acknowledge and deal with your poodle's death. After learning about the grief process, you'll be better prepared to move on. This doesn't mean you will forget about your beloved pet, it means that you have accepted her death and can think and talk about her with love, joy and happiness and not sadness. It's also good for poodle owners who have older pets as it offers information on what happens when your pet dies, burial options, and pet memorials. Our pets, just like the humans we love, want us to be happy and live our lives fondly remembering them, their love and the good times we shared.